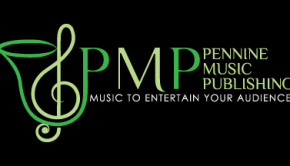 With summer concerts just around the corner, these new music releases from Pennine Music come at the perfect time for bands looking to entertain their audiences over the concert season. The stunning arrangement of ‘Innuendo’ by Queen, which claimed the prize of ‘Best new Composition or Arrangement’ at Brass In Concert some years, is now finally available to all bands. The work was performed as part of Whitburn band’s Brass in Concert programme and saw the arranger, Dr Peter Meechan take the Cyril Beere Memorial Trophy for this clever take on the Queen classic rock hit. The arrangement has been in great demand, however, had not been published, until now. Featuring antiphonal trumpets, hand claps and host of other clever effects, this is the perfect choice for bands looking for something different at concerts and entertainments contests. There are a couple of new cornet solos being released just in time for the summer season. The first is an arrangement of the moving song, ‘Cheer Up, Charlie’ from the film Willy Wonka and the Chocolate Factory. This fresh new cornet solo comes from one of the greatest loved movies of all time. 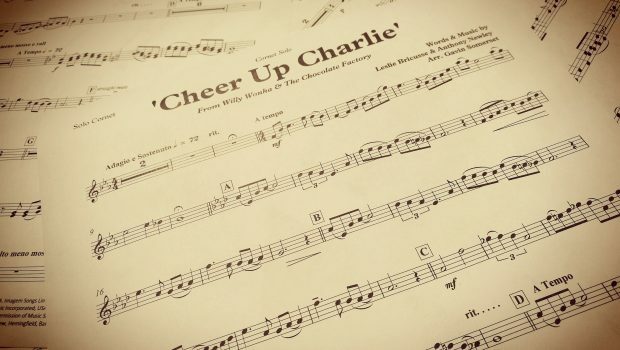 Featuring alongside musical hits such as Pure Imagination and The Candy Man, ‘Cheer Up, Charlie’ is probably one of the most underrated musical numbers from the film. With a complex chord structure, the band parts remain interesting throughout whilst the lyrical solo line can shine in this beautiful, melodic work. A great ‘slow melody’ solo item and one that works on both concert and contest stages. Another new cornet solo is music taken from the Disney film, Tangled. Disney’s take on the story of Rapunzel saw veteran Disney composer, Alan Menken score the film and from it, came the hit, ‘I See The Light’. A lyrical ballad and out of all the tracks produced for the film, Alan stated that this was his favourite of them all. This release is perfect for soloists looking to perform something popular with general audiences of all ages. With little in the way of technical difficulty, this would be a great item for younger players to enjoy. Many readers will already be aware of this latest release; the fantastic new arrangement of the hymn tune Manchester by Andi Cook. The arrangement has been made available with donations from sales being made to the Manchester Evening News’ fundraising page for the victims and families of the Manchester Arena attack. The work was performed at the RNCM by Tubular Bells under the direction of Sandy Smith and has so far raised over £1,600 for the cause. It is a tremendous arrangement that has allowed bands from all corners of the globe unite and donate to this worthy cause. 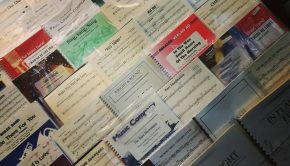 You can view all these new releases, as well as the rest of the Pennine Music catalogue at www.penninemusic.com. 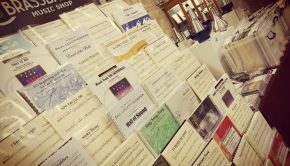 Free PDF scores, solo parts and audio samples are also available to help bands in their quest for new music.